When I was but a young, carefree 18-year-old, taking out loans to go to school didn’t seem like that big of a deal. It was something I would deal with later, down the road when I was living lavishly in Los Angeles with copious amounts of disposable income. (Lol.) Fast-forward a few years, and I do live in LA with some disposable income (not a lot—I’m a writer, after all—but still some). So, should I still be devoting the same monthly amount on my student-loan repayment as when I was fresh out of school? 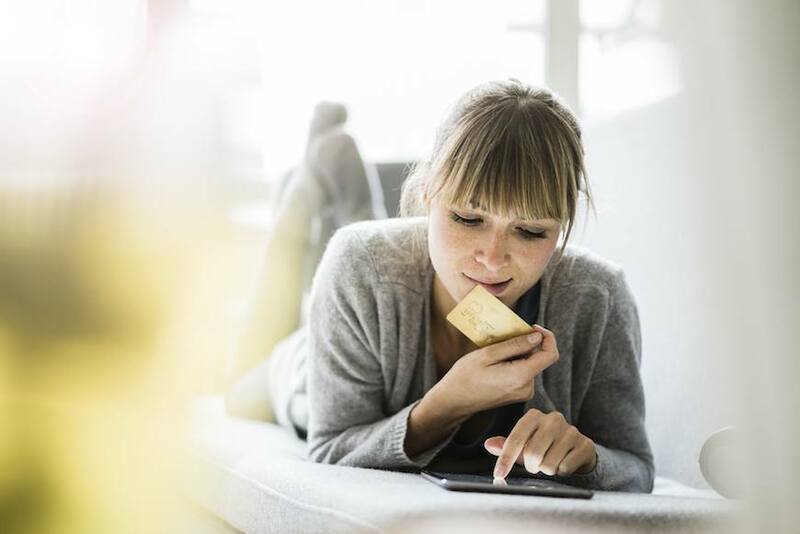 “Good debt is typically longer-term debt that you take on to achieve a life goal, and it usually has a lower interest rate than bad debt,” says Shannon McLay, founder and CEO of finance-coaching service The Financial Gym. “Some people see student loan debt or a mortgage on your home as good debt. Other people may add a car loan as good debt.” Bad debt, on the flip side, typically comes from things like credit cards or personal loans. Credit scores can actually decrease once student loans are repaid, because multiple forms of credit can boost your score. “As long as you regularly pay your student-loan debt, from a credit-score perspective, it’s a very good thing,” she says. “The largest part of your credit score is your credit history of on-time payments. Every month, you pay your student loans on time is another month of good reports to the credit reporting bureaus on your behalf.” She adds that she’s seen clients’ credit scores actually decrease once they pay off their student loans, because multiple forms of credit can boost your score. To that point, there’s no reason to repay your loans ASAP. It’s important to stay on schedule, but before paying more than the minimum, make sure you can really afford it. “Once you pay down your student loans, you can’t borrow from them again, so if you are short on cash and you have an emergency, you may have to pay for that emergency with a credit card,” McLay says. “So, instead of having six percent student loan debt, you may end up with 24.99 percent credit-card debt.” To avoid this situation, she recommends fully funding your savings before paying extra on your student loans so that you’re prepared for big life events (think: a wedding, freezing your eggs, or starting a business—anything). But even if you find that refinancing your student loan may land you a lower interest rate, McLay cautions against taking the bait. While it may seem as appealing as being paid to eat avocados, in reality, things aren’t so simple, because refinancing federal student loans can transform them into private loans. “Federal loans have a number of repayment options that are not available to private loans: adjusting for lost income, lower income, disability, and family situation. If you are going to have to pay off student-loan debt over decades, anything can happen over this period of time, and you would want the most flexibility in repayment options than just a lower interest rate,” McLay says. Still, it’s important to review your repayment options on the regular. “I suggest utilizing a resource like Student Loan Hero to help you determine your best options based on your salary and lifestyle,” McLay says, adding that it’s best to get comfortable with carrying the good debt you’ve accumulated, so long as you’re repaying it in a responsible manner. “You can still lead a happy and fulfilling while paying down your student loan debt,” she says. Still feeling anxious about your finances? Here’s how to talk about it with your S.O. And also, why you should schedule regular money dates.